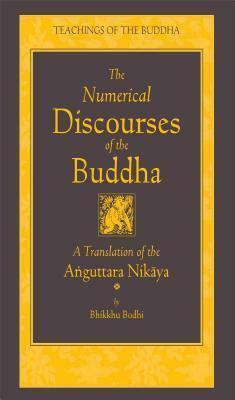 In 2013, Venerable Bhikkhu Bodhi was awarded the 2013 Khyentse Foundation Prize for Outstanding Translation. Bhikkhu Bodhi's translation and compilation also includes a useful thematic guide to the Anguttara Nikaya, so that readers can browse the volume by topic. Find the teachings to further your practice and bring clarity to your life today by diving into this rich treasure of the Buddhist literary tradition. With this volume, readers can learn about the life of the Buddha, instructions for maintaining a harmonious household, monastic practice and lifestyle, meditation practice, and the Sangha (Buddhist community).